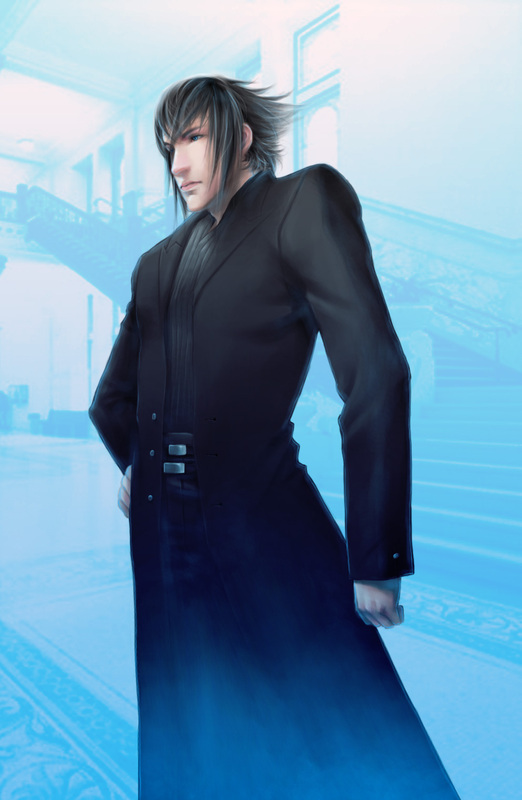 Home » AngelusMortis » Pictures » Noctis? I saw some screenshots of Noctis and it gave me an idea to draw this picture. But I didn't really know what color his hair or eyes were until somebody pointed that out to me. Oh well. I made up the bottom part of his clothes. I didn't see screenshots of them. Now that's impressive art right there. Wow! I think you did really great on this picture. The colors and shading are great and so is the background!